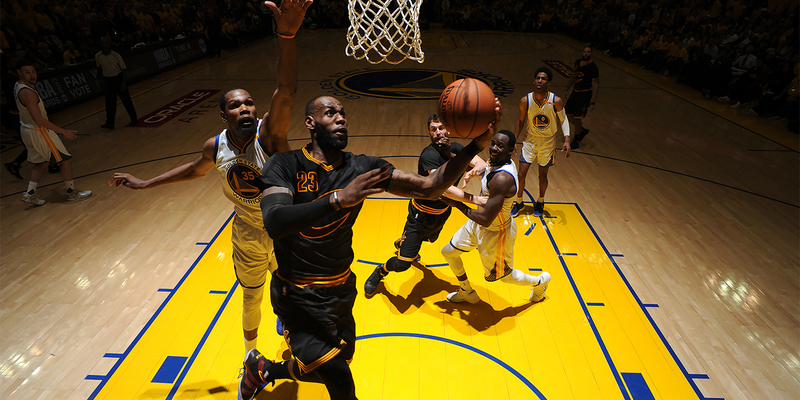 Starting in February, TNT will regularly offer viewers the opportunity to watch NBA games in virtual reality. After dabbling in bringing virtual reality to basketball games over the past few years, Turner Sports is ready to make virtual reality (VR) a regular component of its NBA broadcasts. The network has partnered with Intel to broadcast weekly NBA on TNT games in VR, beginning with the 2018 NBA All-Star Weekend, which will be held Feb. 16-18. In the multi-year deal, Intel will become the exclusive provider of VR for the NBA on TNT and deliver live content for weekly matchups via its Intel True VR technology. Users will need to download the NBA on TNT VR app, which will require authentication for cable and satellite subscribers and will be available on the Oculus and Google Play stores ahead of the All-Star Weekend. The app can be used on Samsung Gear VR and Google Daydream headsets. With the app and VR headset, users will be able to watch the games from multiple camera angles, including sitting courtside, or up in the stands. Intel will also provide VR and 360-degree volumetric video using Intel freeD technology for NBA’s official global broadcast partners in 215 countries. That technology—which will enable fans to pause game action and watch it from a player’s POV on the court—will also be available to broadcasters for use during games. Currently, only the American Airlines Center in Dallas and the Quicken Loans Arena in Cleveland are outfitted with the technology. The Intel partnership includes on-air mentions and a 30-second spot that the Turner Ignite Sports team will produce to promote the app. Two years ago, Turner Sports offered the first live pro sports game in VR on opening night of the 2015-16 NBA season. 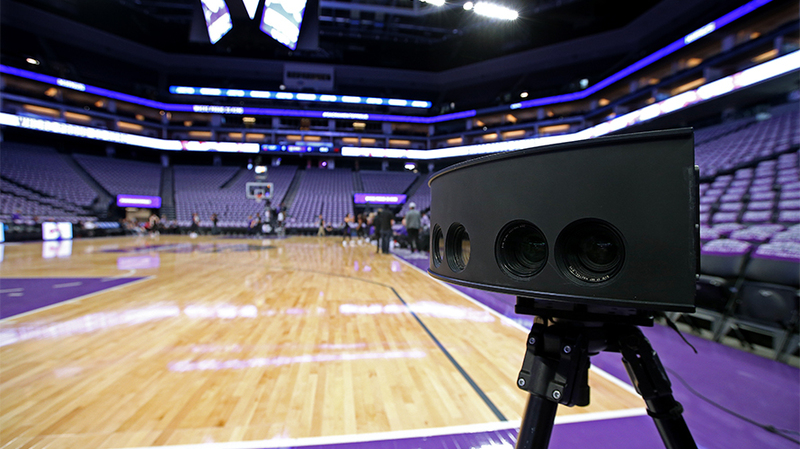 The NBA is utilizing the VR technology in a way that MLB, NFL and the NHL are not. "It’s much more active than watching television, or even a game on a phone. The opportunities are much more dynamic for the brands." The Turner Sports/Intel deal is an extension of a partnership that began last spring, as Intel provided VR capabilities for CBS Sports and Turner Sports to broadcast the NCAA Men’s Basketball Tournament, starting with the Sweet 16 round. While Intel will be the lead brand in the VR campaign and will be featured in all promotion and marketing on both the linear and digital sides, Turner Sports is eager to bring other brands into the space, said Will Funk, Turner Sports’ evp of property marketing and corporate partnerships. 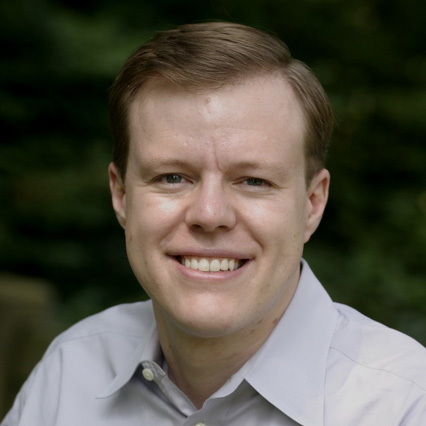 “It’s really a new frontier as it relates to the kinds of branded content that we can produce and insert into the fabric of these live games,” said Funk, who will work with the company’s other brands partners to “create VR contextually relevant branded content that we can drop into the live games” via the loading screen or in-game ads. TNT’s on-air promotion of the still-to-be-released VR app will take the form of TV spots and commentary from its studio team and will begin “a few weeks” ahead of All-Star Weekend, added Funk.